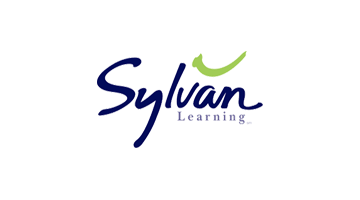 Drive student success with maximized graduation rates, equitable access to advanced courses, and improved post-secondary support. 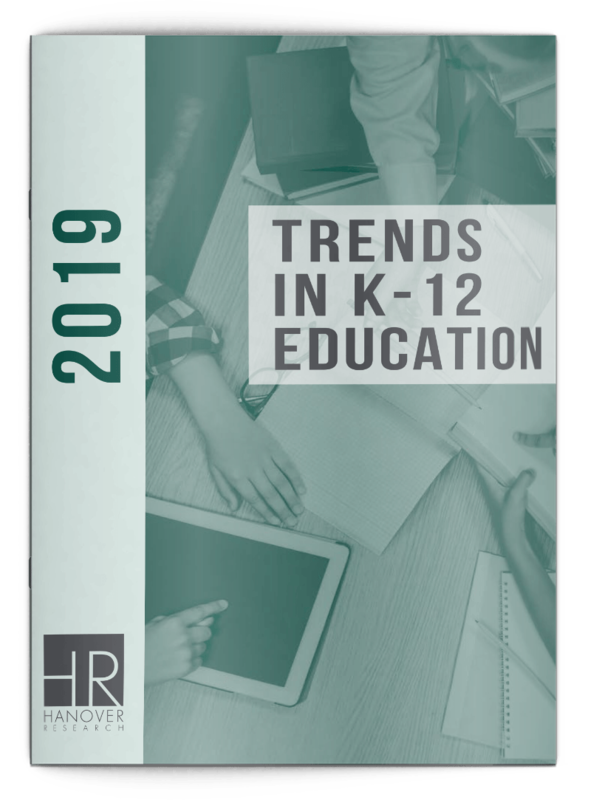 College and Career Readiness Solutions provide K-12 administrators the tools to support on-time graduation and student success. 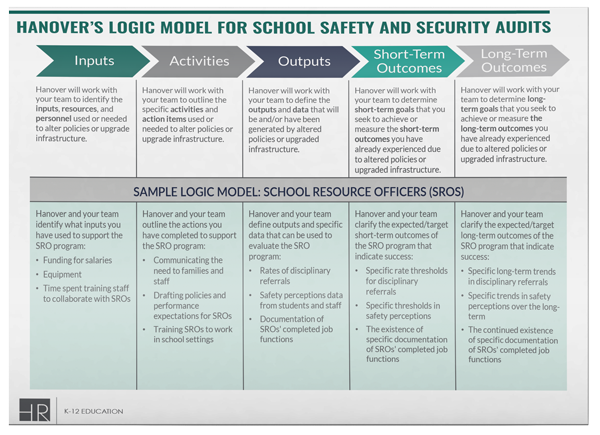 Our tools and evidence-based best practices allow you to spot at-risk students early and implement a variety of targeted strategies to address instructional challenges as they arise. 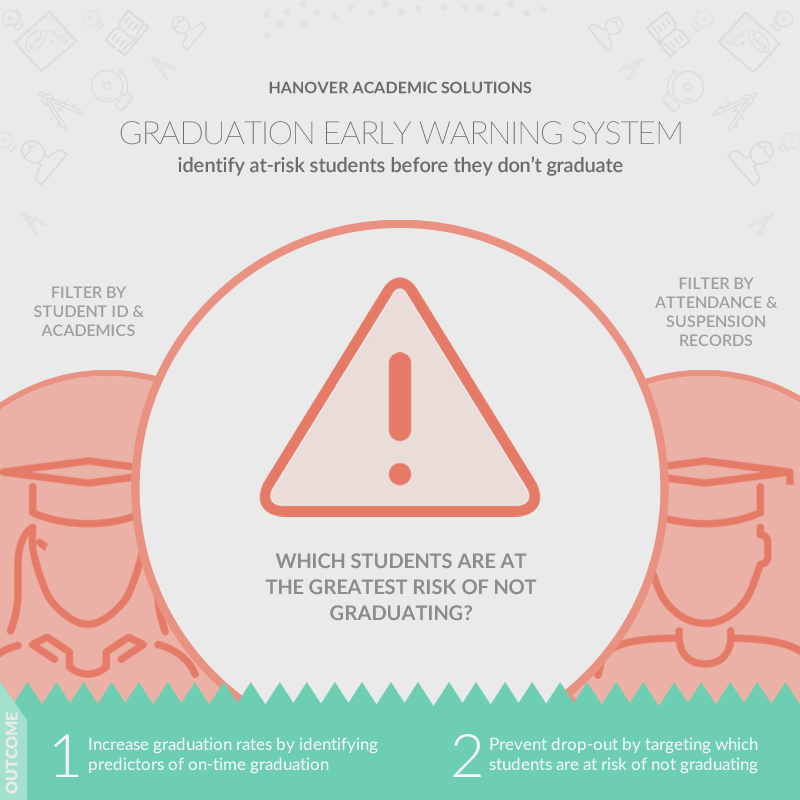 What factors predict on-time graduation for students? 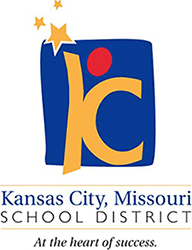 Which students are falling off-track and may require additional intervention? 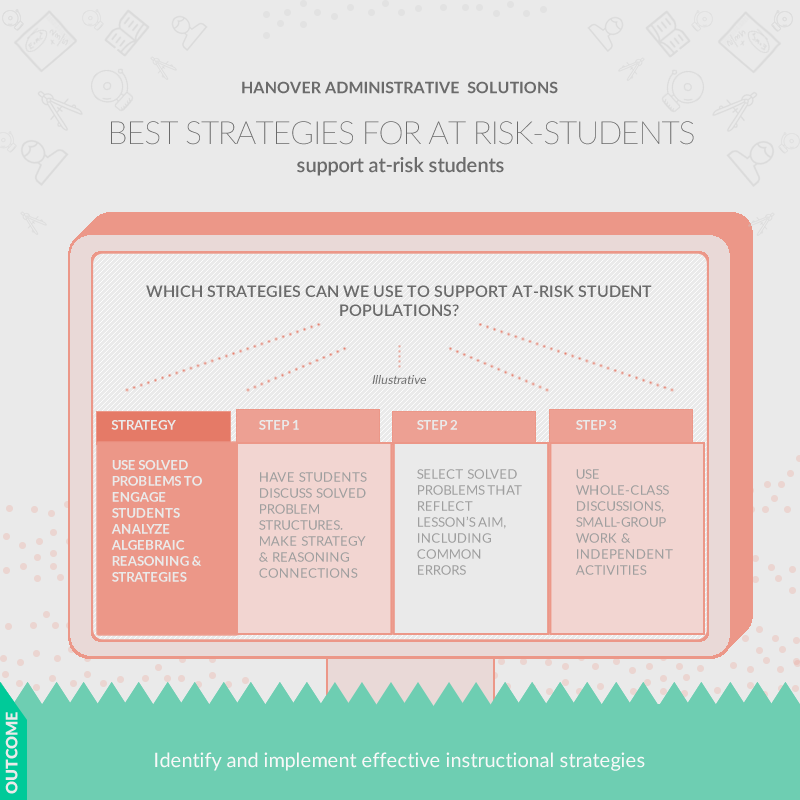 Which instructional strategies are most effective in supporting at-risk students? Which course pathways have long-term success rates and which courses are “gate-keepers” to advanced courses? 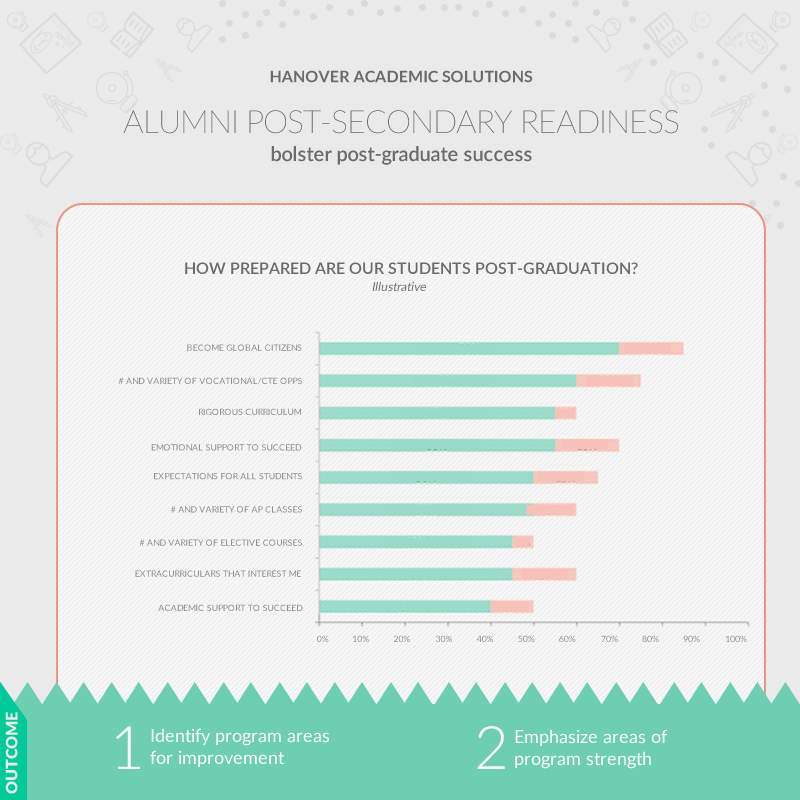 How satisfied are alumni with the education they received? 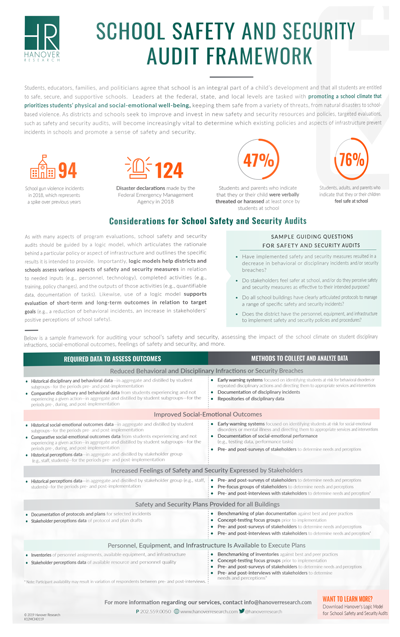 Identifies which students are at risk for not graduating and key predictors of failure to graduate through a review of student-level achievement, behavior, and attendance data. 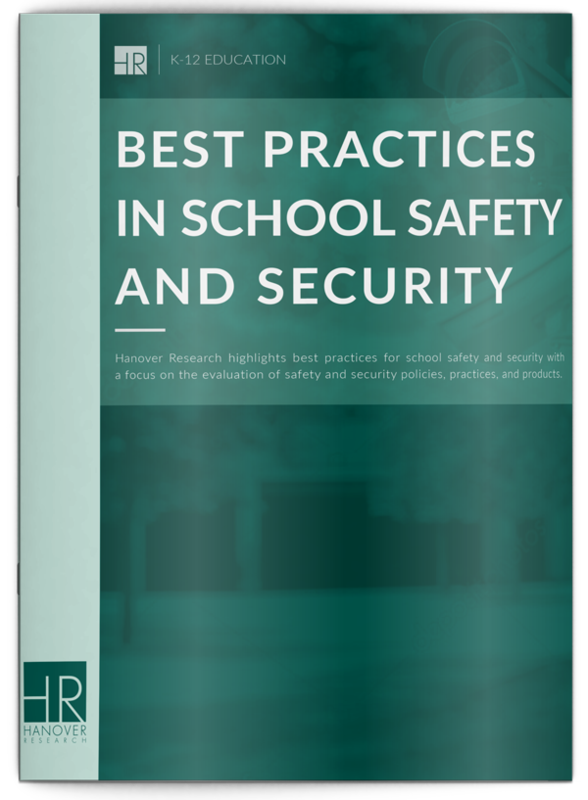 Reviews instructional strategies for targeted at-risk student populations to identify potential high-impact approaches to promote student success. 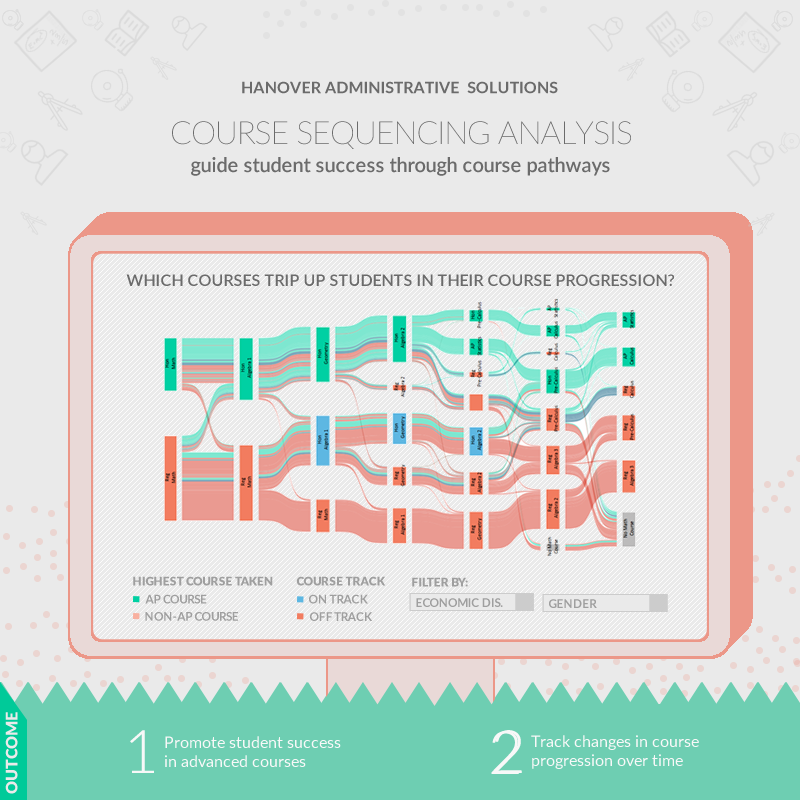 Visualizes student progression across course pathways to support equitable access to advanced coursework and identify pain-points in different student sub-groups’ progression through coursework. 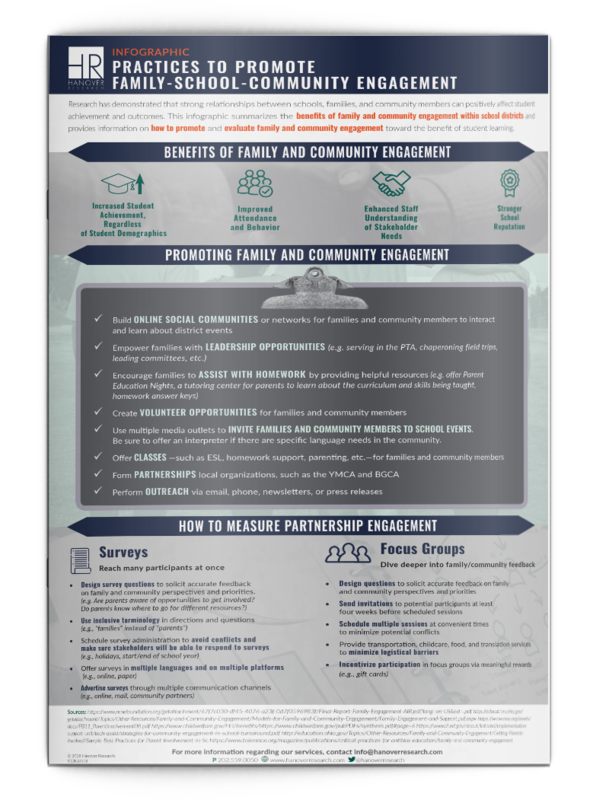 Assesses the skills and resources students need to achieve post-secondary success in college and career placement.